Finally, the city bikes are out and the flea market season has started in the Norwegian capital. It can only mean one thing: Spring has arrived! Yesterday, 1,300 washed and polished city bikes were ‘released’ ready for a smashing new season. This is the last time the city bikes are rolled out in their current form because next year they will be renewed and the number will double. They have become so popular that Oslo municipality has decided that in 2015, 3,000 bicycles will be transporting Oslo’s inhabitants and tourists. 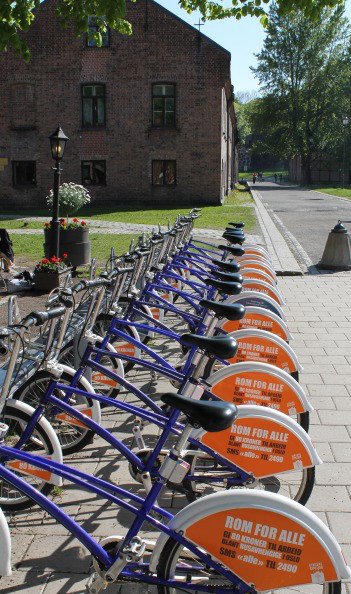 However, if you are a tourist in Oslo and wondering where to ride, here are a few tips. In the coming weekends flea markets are arranged by primary schools all over the city, and the income goes to the school’s own marching band. Many residents use the opportunity to hunt for antiques, art, clothes, trinkets, skis, bicycles and furniture. And – sometimes you might even find a unique treasure. See the list of flea markets here. This year the Norwegian Constitution celebrates 200 years with several activities, exhibitions and plays. If you go to The National Museum of Art, Architecture and Design, you can see the exhibition Design and Fashion. Norway 1814. At the Norwegian Museum of Science and Technology you can experience the anniversary exhibition Things. Technology Democracy, while the Oslo City Museum in Frognerparken organizes free exhibitions throughout the spring. One of Oslo’s attractions that have gained international attention is the Ekeberg Park, aka Female Park. Bring your city bike (costs a little extra) on tram number 18 or 19 and get off at Sjømannsskolen stop. Follow the signs. This is definitely the best view over Oslo. Follow the tram tracks back downtown. If you like music, people and beer make sure to visit Oslo the first Sunday in May when the eminent Tom Waits Run is arranged. 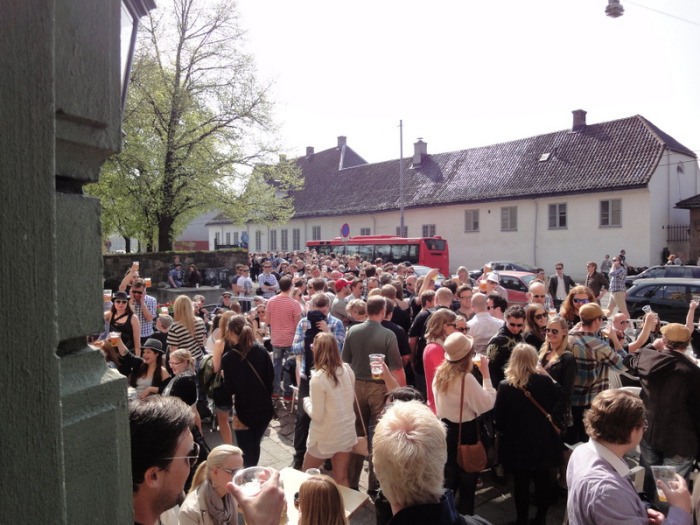 It is called the Most Beautiful Adventure of the Year, and is actually a popular pub crawl through the streets of Oslo. 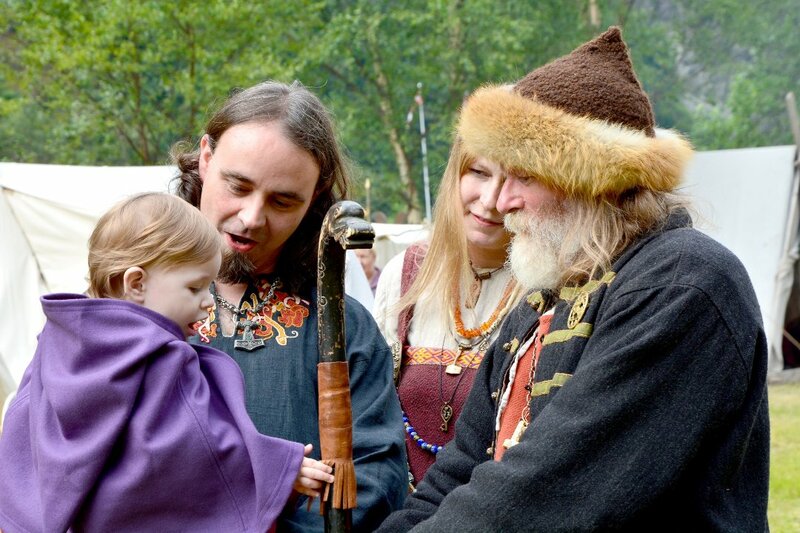 It has been running since 1999, and hundreds of thirsty Norwegians participate every year. And speaking of beer: Norwegians are very excited that spring has arrived, and they run to the nearest pub or park to enjoy the sun and have the first glass of ‘outdoor beer’. Norway is not known to be a cheap country, and beer prices range from 16 to 6 dollars for a pint.